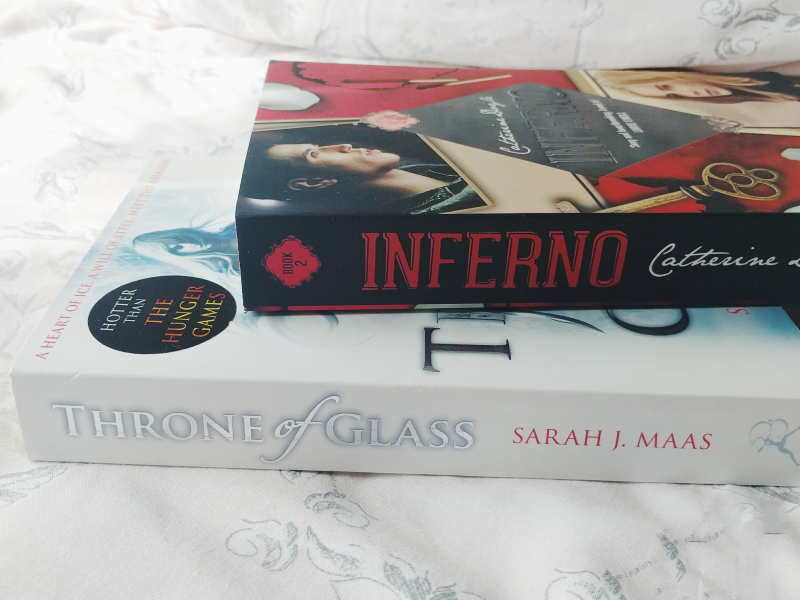 July was BookTube-A-Thon which I took part in again (if you're not familiar with BookTube-A-Thon you can view my post on it here) so I'll start off with the books I read for this. Although I had a very ambitious to be read list of seven books and challenges, I actually only ended up reading four books and completing three challenges, whoops! This was such a cute story! Rainbow's books never disappoint as she always makes the characters so lovable and she manages to do the same with these characters despite it being a very short story! It's about a die-hard Star Wars fan who camps out before the release of the latest film, The Force Awakens, so as a Star Wars fan myself I really enjoyed this! 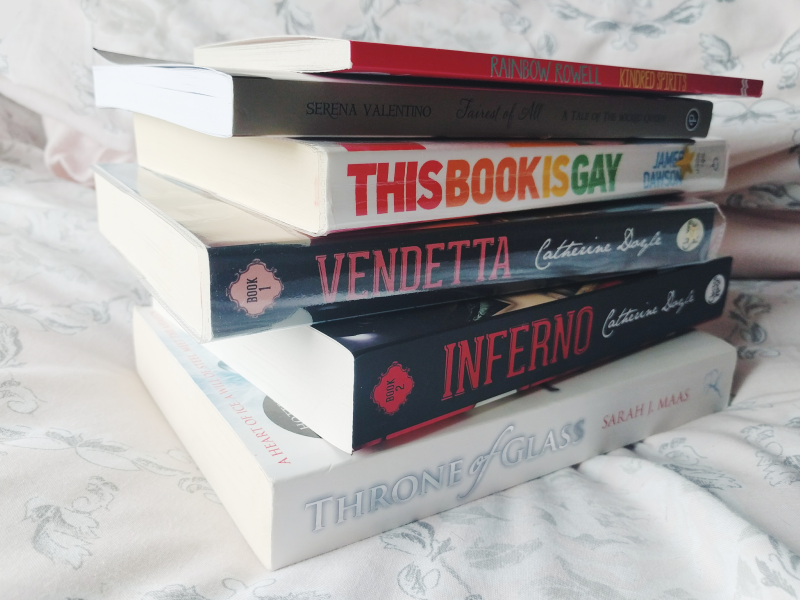 I have to admit that I wasn't very clued up on LGBT* issues before I read this book and as I'd seen it recommended in the young adult community a lot I made this one of my choices for BookTube-A-Thon to try to rectify this. 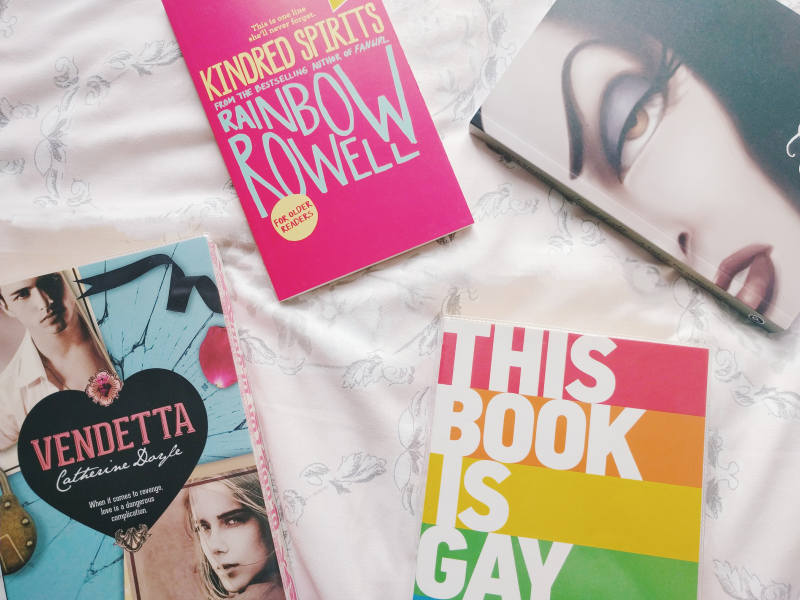 Although this book has been criticised for not including whole LGBT spectrum, for someone like me who is pretty clueless I thought it was a really good, and actually very funny, introduction! This is definitely a book that I think everyone should read. Being a Disney blogger I knew I had to include a Disney book in my reading list so I chose this which is a re-telling of Snow White and the Seven Dwarfs from the Queen's point of view. Although it wasn't perfect it was interesting to see the classic Snow White story from a different angle and I think the author interwove the two stories so well. It definitely felt like a genuine extension to the original narrative rather than an after-thought which I was worried it might feel like. I'll definitely be reading more books from this series now, starting with the Beast from Beauty and the Beast's backstory next! Oh. My. Gosh. I don't know where to start with this one other to say that I absolutely LOVED it. I could not put this book down from the moment I started it. It's like a modern day Romeo and Juliet set around warring mafia families which I think worked perfectly! There were so many good elements to this book - five brooding, hunky brothers? CHECK. Forbidden love? CHECK. A totally hilarious, sassy best friend? CHECK. A story that actually had a lot of substance to it? CHECK-ITY CHECK CHECK. After having the HUGEST book hangover from reading the latest book in Sarah J. Maas' other series, A Court of Thorns and Roses, I decided to re-read Throne of Glass so I could finally get to the rest of the books after it. I loved it just as much as the first time I read it and I'll definitely be getting to the next book in August! 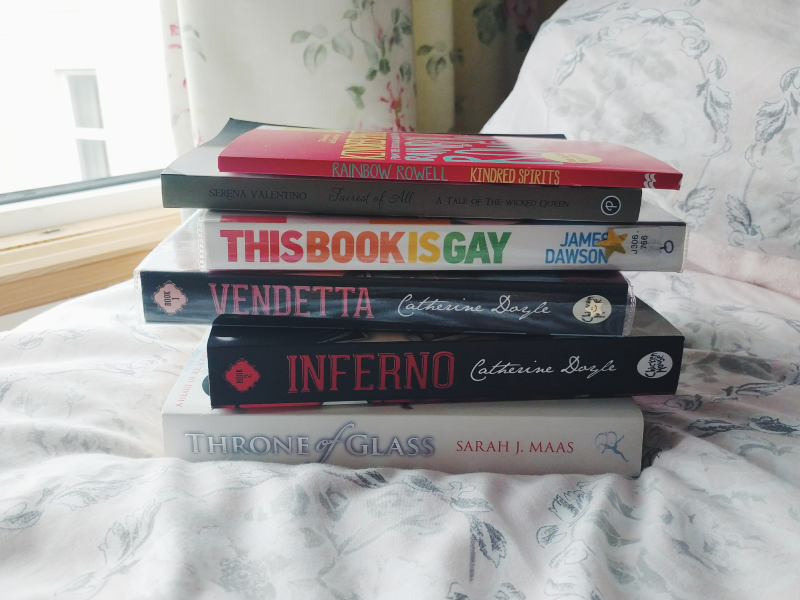 I ordered the sequel to Vendetta before I'd even finished it and although I'd had such high expectations from the first book this certainly did not disappoint! I can't say too much about the story in case I give away any spoilers as A LOT of surprising things went down it this book, but I really cannot wait for the next story to come out in January now! If you're looking for a new romantic young adult series to read you need to get your paws on these books!